Champions For Kids SIMPLE Service Project with my kids, Spinbrush and Walmart! Sometimes I have these moments where my kids ask a question, asking for something more. It's usually more toys, when they see a commercial or catalogue when they already have an abundance, or were just rewarded with something new. And it almost always causes me to question my parenting and if, when and how I am instilling humility and teaching them about the world and the community around them. Then, it leads me on search on how I can do better and teach them about giving and how we can help others. Which leads us to Champions For Kids: SIMPLE Service Projects. These SIMPLE Service projects help mobilize anyone looking for simple ways for people to help children in their community. And when you participate with them and share your story, they match those rewards. 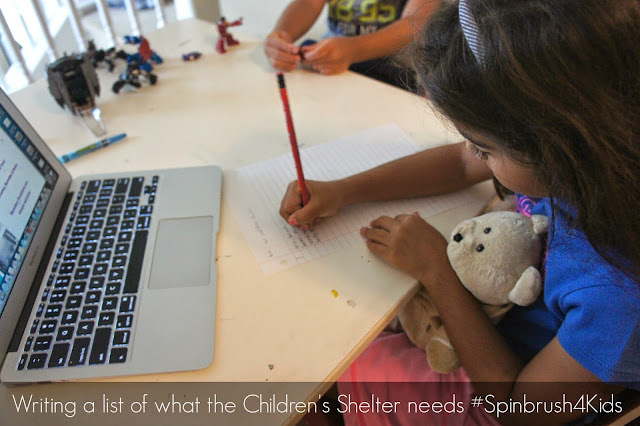 We decided to participate in the "Spin Into Action" service project. I did a bit of research on what the Children's Shelter of San Antonio needed. Then talked to the kids about what the Children's Shelter is, what adoption meant, and other questions about what the kids in the shelter might like. We looked at their Most Needed Items list and made a list of our own. Then we headed to Walmart to purchase some toothbrushes, hair accessories, healthy snacks and a little bit of fun. We chose Arm & Hammer Spinbrush Tooth Tunes toothbrushes, because although an $8 toothbrush might seem like a luxury to some, it will be sure to cause a few smiles and happy thoughts to children who might need it most. The Tooth Tunes toothbrushes play 2 minutes of song through the brush to encourage longer brushing! 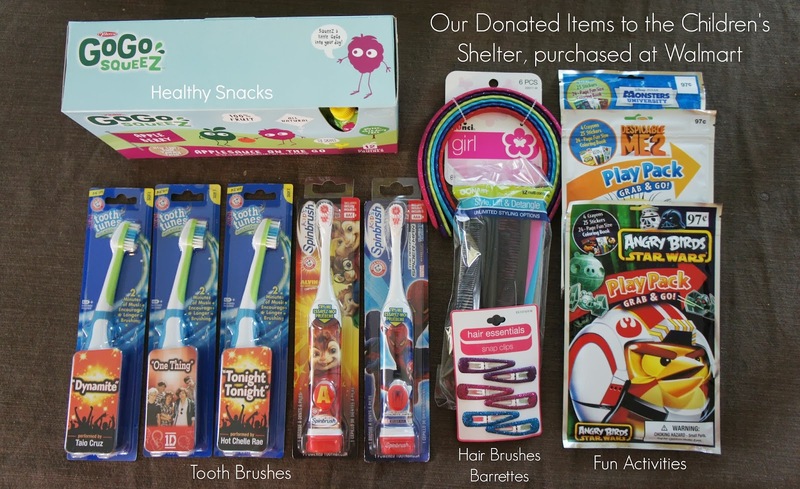 The kids Spinbrush actually spin and help keep kids teeth brushing longer and healthier. Both are just fun to have around. 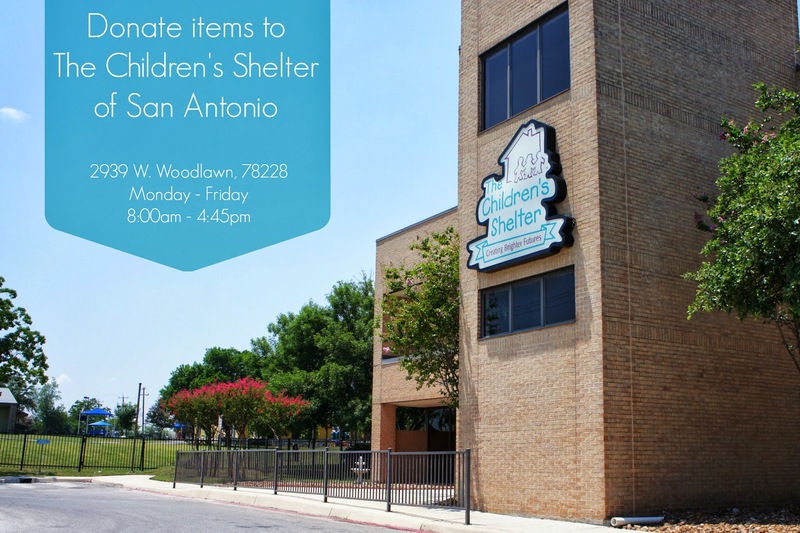 I called The Children's Shelter to verify their drop off times and I was told that they will accept all donations, Monday thru Friday, from 8am - 4:45pm, at their headquarters, located on the corner of W. Woodlawn and St. Cloud. And one weekday, we headed over! We were in and out in 5 minutes, but the kids and I were able to look around the campus from the outside to talk a bit about what we just did! And it was a great moment that I know they will carry with them for a long time. You can check out more photos of our story, items of need and how we submitted our project with Champions for Kids in my Google + album. Champions For Kid SIMPLE Service Projects are always available and you can double your impact when submitting in July 2013. You can also find coupons before you go at the Spinbrush website to helps stretch those donating dollars! I hope you enjoyed our project and we hope to have inspired you do one yourselves! LOVE IT! I need to do some community outreach here in San Angelo. Love what this does for our families. Teaches our children how important it is to give. Me encanto! I would love to take my kids in a project like this. What we do sometimes when we travel to Mexico is carry some plush toys or bags with toys, so when kids approach to sell gums or asking for money, we hand them the toys.